RIO DE JANEIRO, BRAZIL – A study by the Inter-American Development Bank (IADB) shows that Brazilian companies need to work more than their counterparts around the world to pay their taxes. A middle-sized company has to work 2,600 hours to be able to afford its contributions to the government, according to data from the international organization. Brazilian companies and employees need to work longer hours than their counterparts around the world to pay their taxes, photo by Benjamin Thompson/Flickr Creative Commons License. The study compiled a ranking of almost all countries in the world, comparing the time it takes companies to generate the revenue to pay taxes. Brazil, traditionally known for imposing a heavy tax load on workers and companies, came in last, rounding out the list at 183rd. On average, companies in Latin America and the Caribbean work 503 hours to pay their taxes. This is significantly less than in Brazil. Belize and Colombia are the countries where companies work the least for their taxes, with 147 and 208 hours, respectively. That means that a Brazilian company needs to work more than twelve times more for their contribution to the government than a Colombian company. On the other hand, the study points out that the Receita Federal (Federal Revenue), the organization in charge of tax collection in Brazil, has been internationally recognized for its technical capabilities and good performance indicators, as well as its modernity. Generally, countries in Latin America and the Caribbean have a low tax load, which comes in at around 17.5 percent of GDP on average, compared to 24.1 percent of GDP in Eastern Europe and 25.4 percent of GDP in the OECD countries. 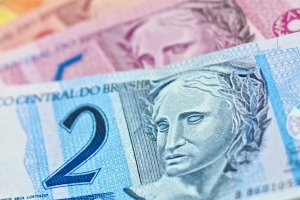 This means employees also need to work for several hours to pay taxes levied on wages in Brazil. In order to pay income taxes, known as Carnê-Leão, which are collected on a monthly basis, a Brazilian with a salary of R$5,000 had to work a total of 27 days in 2012. To pay the entire tax load of federal, state and municipal taxes, every Brazilian needs to work on average four months and 29 days. This gives Brazil the last spot on a ranking that compares the amount of taxes imposed with benefits received and quality of life.